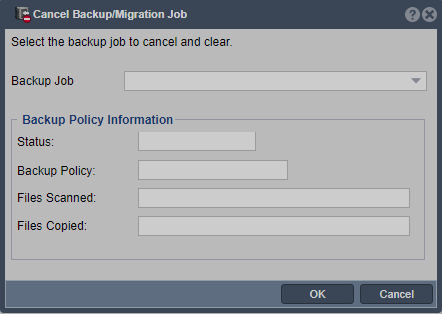 Cancels the selected backup job. If the job is running the system will locate and terminate the backup process for the job. On the next backup job run it will pickup where it left off as unchanged files are skipped. In the diagram below the selected job has already completed so there is nothing to cancel.